I’ve been quite lucky that in over 10 years of extensive travel I have never once been mugged, held up, arrested in a foreign country, or found myself in any kind of trouble which requires an embassy to assist. Knock on wood. The following are my biggest mistakes while traveling abroad. Leave me a comment at the end of the post if you’ve had any epic fails too! The sun is something I am incredibly conscious about while traveling. Having been viciously burnt in the past on numerous occasions abroad, I now apply suntan lotion each morning out of routine, and carry it with me everywhere we go. What not to do when you travel – international travel mistakes. I was burnt so badly in 2009 while traveling through Europe that it ruined the pigmentation in my nose which is now permanently red. When asked on social media I may assert that it’s just very cold out, but now you know the truth! Relaxing on the beach in the Galapagos Island completely oblivious to the sun on my feet. Pack Aloe-vera gel to sooth your skin if you do manage to walk away burnt. The sun should be something you’re incredibly conscious of while traveling. Ever since then I have double and triple checked information before locking in a booking!! Possibly the most expensive spelling mistake I have ever made. You may find this advice to be incredibly straightforward, however I assure you that people have shown up for flights at the wrong airport before, and can assure you of this with 100% certainty because “people” was once me. In 2009 I traveled with mum on a 2 month European Adventure. Having traveled Europe quite extensively in the past, I was our resident expert, and planned both our itinerary and accommodation. Though let me tell you, this “expert” was quickly knocked off her high horse! Sometimes your biggest issue may not be getting to the airport on time, but getting to the RIGHT airport on time. We were fortunate enough to cancel our flight without fees, and transfer onto a flight to Rome leaving Heathrow; proof to previous advice as to why you’ll get further being nice to airport ground staff. My sister packed a bag for me and sent it with the cars which departed Canberra. I will never forget the evening in the campsite in Cairns where I unpacked that bag, pulling out a series of clubbing dresses to the insane laughter of everyone in the group! We were extreme 4-wheel driving, through some of Australia’s most intense terrain, so let’s just say they weren’t the most practical clothes to be wearing on that kind of a trip. But it’s the thought that counts! 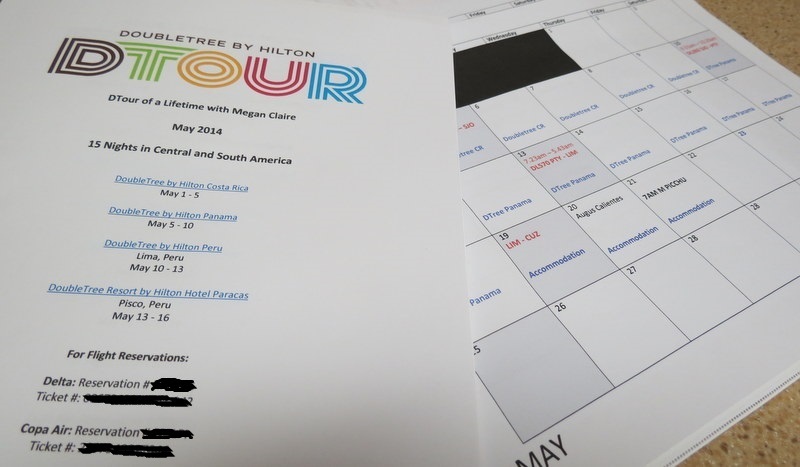 You’re probably wondering why an independent 27 year old and her 32 year old husband would still be sending mum and dad a copy of their travel itinerary. Overbearing much? Not really. No matter what your age, never underestimate the importance of letting someone at home know where you will be. When Mike’s father passed away 4 days into our hike, no-one had any idea where we were. Well out of range of a phone signal, they had no idea how to contact us or where we were meant to be. Sure, they knew we were in the Australian Outback, somewhere along the Larapinta Trail; but with a total length of 223 kilometres, the trail can take weeks to walk. Going off the little information he had, my father called the Parks and Wildlife Commission and had one of the Park Rangers leave notes at every major trail intersection. They finally caught us on a fluke and transported us back to Alice Springs where we dealt with the tragedy. Taking on one of those famous German beers! It’s happened to the best of us – one too many drinks in a foreign country, and then next thing you know you’re letting girlfriends cut your hair after finishing a whole bottle of absinthe. It’s happened to the best of us – one too many drinks in a foreign country, and then next thing you know you’re letting girlfriends cut your hair after finishing a whole bottle of absinthe. Or stumbling through a park in the Czech Republic at 10am the next morning, trying to find your hostel, only to be approached by a creepy middle aged man asking for your “rate”. At 18 I took a Gap year and headed off to London for a 12 month break in-between high school and university. It was the most amazing year of my life and I returned home a far better and much more well rounded person as a result of my experiences abroad. However I drank too excessively that year and am surprised that I didn’t end up in a tragic situation. Abusing alcohol abroad was one of my biggest mistakes. I drank too excessively that year and am surprised that I didn’t end up in a tragic situation. I was lucky. Other’s haven’t had the same luck. 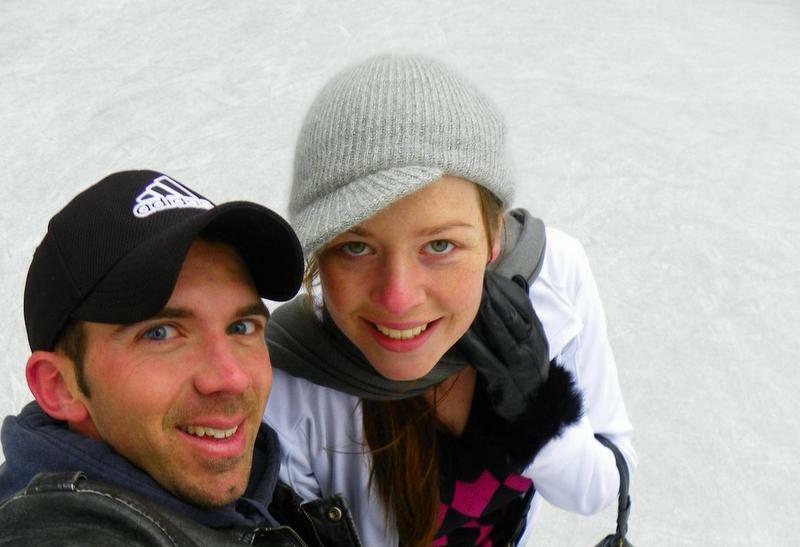 There was an Australian woman who passed out drunk in the streets of Canada, for instance, and woke up with the most graphic and severe case of frostbite the world has ever seen. Literally, click through to that story – her fingers were swollen to the point of full size balloons, and she’s genuinely lucky to still have the use of her hands. Needless to say I drank enough alcohol that year to not feel the need to drink anymore! And you wouldn’t believe how much money I now save for travel from only drinking (responsibly) on occasion! In 2012 I traveled to the Solomon Islands on a volunteer program with Scouting Australia where we spent 2 weeks repairing a red cross school for disabled children. You will find that with the majority of group projects you embark on, you’ll likely be required to provide proof of individual travel insurance. Traveling for the next two months and not wanting to ‘waste’ money on ‘unnecessary’ travel insurance (common excuses people use for traveling without insurance), I emailed through a policy which came attached to a credit card and covered me when travel was booked on that card – obviously not the case in this trip. Is travel insurance a good idea? I mean, at that stage I had been traveling for 6 years, and had never EVER found the need to use travel insurance – what could possibly go wrong? Volunteering in the Solomon Islands at the Redcross School. Well, as it happens, even if you’ve never needed to rely on your insurance overseas before, there’s no way of knowing that you’ll never need it at all. A volcano erupted in Chile and the majority of airports around the world couldn’t fly out. Being that flights only left from the Solomons on Tuesdays and Thursdays and it was Thursday when the volcano erupted, we were stuck in Honiara for 5 extra days. Luckily I managed to bunk into a hotel room with one of the girls who’s travel insurance did kick in!! Since having also suffered an asthma attack in Budapest where I refused to receive emergency medical care because I didn’t have the insurance and couldn’t afford to pay, I’ve traveled with proper insurance ever since, and always made sure that my insurance covers health. We highly recommend going through Tim Jennings at Individual Health for insurance with #GeoBlue – an exceptional worldwide insurer with a network of elite doctors in over 180 countries and a hugely helpful mobile app for quick and easy access to quality care for anything from emergency needs, to filling a simple prescription, to translating your symptoms, to finding the right doctor at home or abroad. Read: What to Look For When Buying International Health Insurance. I’ve made my fair share of stupid decisions and mistakes while traveling abroad, and hopefully you can make note so that you don’t have to learn the hard way too. This post was completed in our capacity as Brand Ambassadors for Individual Health and GeoBlue. Thanks for sharing though, this was a fun post (except the third degree burns… wow). I love the “yet” – that’s the spirit! We haven’t traveled properly if we haven’t made mistakes to learn and laugh from! I have the same 18yr old “retrospect” – we broke down once on the side of the road heading home from school and got a life with some incredibly gorgeous looking guys we didn’t know. Glad both out situations turned out to be innocent! …and yes, the burns sucked. I now never travel without my sun tan lotion – ever!! Thanks Alex! Lol remind me to go easy on the free little wines next time I fly…although those “Borders” episodes are pretty entertaining!! I’ve heard that the alcohol affects you more at high altitudes, but I’ve never actually put it to the test. Glad you weren’t put in airport jail!! Thanx for Pointing out. Will help in my solo journey to Vegas. Thanx for the article and keep up the good work. Glad you enjoyed the article Rana – have a wonderful trip to Vegas, hopefully mistake free! We’ve made similar travel mistakes like not having sunscreen or bug spray and getting burnt or eaten alive. We also drank local water by not paying close enough attention and both got sick! The most expensive travel mistake we ALMOST made was almost missing our connecting flight in China to LAX to visit our families because we were sitting in massage chairs and using the airports wifi. We misread the boarding passes…we thought we were walking over when the boarding time started, not the flight time! We were just a few seconds away from missing our flight! Hi Megan – sorry to hear you’ve made similar mistakes…though it does make me feel comforted that I’m not the only one lol! Drinking dodgy water overseas is an incredibly easy one to do, and it gets a lot more people than we think. Actually you just gave me an idea for turning that topic into a blog post! Watch this space I guess! The thing which always got me was the ice – I would be so careful with everything down to brushing my teeth but then drink a local drink with ice. Never again! And don’t feel too bad about almost missing your flight…happens to the best of us!! Glad to hear you did end up catching yours though!! Megan- That’s so funny about the London Airport! That reminded me I almost did the same thing in Milan because there are a few airports (when I worked at my old job) and my boss wasn’t so forgiving so making that mistake would have been terrible! Can’t wait to see what post you will come up with about water/ice mistakes in foreign countries! Thanks Melody! Some were definitely ouch :D Luckily though they just turned into decent party stories without long lasting consequences! You have definitely convinced me to wear lots of sunscreen. And, I’m flying out of London soon. I will double which airport! Oh sunscreen is a major one – I can’t leave home without it any more, I’ve been burned WAY too many times…pun intended lol :D! And yes, double check the airport for London – it’s so annoying that they have 5 airports!! Very easy to become confused!! I’m so glad they could find you when Mike’s dad died. That’s a horrible situation – and how kind they were to help. Great advice here! Thanks Jesse. That was a really hard situation indeed – I’m pretty impressed with the creativity and thinking of my parents on that one to locate us. It’s something we were expecting – Mike’s dad passing – though obviously it’s never easy, especially when your family can’t contact or find you :S So have definitely learnt our lesson on that one. Well I have to admit I have done all of the mistakes listed above and the biggest one is Abusing Alcohol Overseas! I am specialist at that. I am Professional Travel Alcohol Abuser Overseas – PTAO! I feel you!! I think everyone can say they’ve probably gone a little too crazy with alcohol overseas at some point. I do think we need to realize just how unsafe it can be though! I was really quite bad during that initial year abroad!! Thankyou Frank! … guessing there’s a pretty hilarious story there behind the alcohol and lady boys!!! Haha hope it wasn’t too traumatizing for you!! Sorry to hear about the scam – I was there with a friend when he was scammed in Naples, Italy, though that was luckily only 50 Euros. We were convinced into buying a laptop from a guy on the side of a market though he did a fairly decent magic trick and switched the laptop with washing powder after we saw him put it in the bag. Crazy!! Though we consider ourselves lucky, some tourists got conned by the same thing and lost $2000. My friend did get a fair amount of enjoyment out of haggling with him for an hour though lol so money well spent I guess!! We should all learn from your 5 biggest mistakes and not repeat them ourselves. Thanks for sharing. Abusing alcohol…I know one or two people who wouldn’t even consider that a big mistake. :) But yeah – letting someone else pack for you sounds like you’re tempting fate, doesn’t it. Although — my kids are seasoned travelers who pack for themselves, and on the trip we’re on right now (from sunny and warm Southern California to chilly and brisk Portland) one of them forgot to pack a winter coat! Guess who won a free trip to Target last Wednesday? >:( Now that I think about it, this may have been her plan all along. Hmm. Lol yes well I didn’t consider it a mistake for a good few years, until I started hearing stories of nights out abroad gone terribly wrong!! Some great tips- I’ve never left a copy of my itinerary at home and now that I think about it, that is definitely something I should do, considering I’m often off solo trekking in remote villages in Asia. I usually have to write myself reminders to do it before each big trip, though I’m so glad that I do. 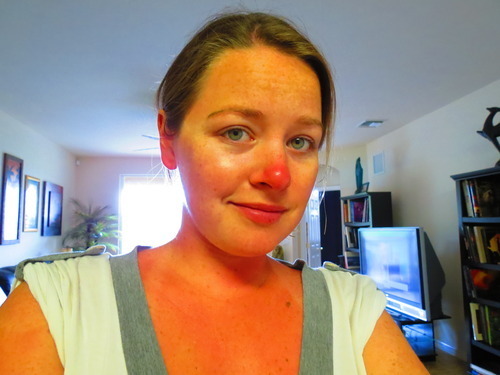 Your sun burnt nose photo is f-ing HILARIOUS! Our big mistake is over packing. Our 17 months in Asia was our first big trip and we each had a massive 70 litres and took a lot of crap and probably spend more then we needed to. Otherwise, we like to think we’ve done well avoiding scams/major problems – Googlemaps has been a massive saviour preventing taxi/tuk tuk scams for example. Lol I’ve learned to laugh at myself about that now. Over packing is also a mistake I probably could have listed here, lol I actually ended up wearing 5 kg of clothes onto the plane once in Milan to avoid having to pay excess baggage fees :D There’s a video somewhere!! My biggest travel mistake was not knowing what the Eurrail pass covered on a summer trip to Europe. I missed all of Ireland because I did not know. Duh. Oh no! Well, sounds like a great excuse for a return trip! It’s actually nice to hear that even experienced traveler make mistakes. I’ve made several myself – including being burned, forgetting my luggage (thinking my husband had put my case in the car), not having onward travel. So many! Oh absolutely – I don’t think anyone is exempt from making silly mistakes overseas, no matter how long they’ve been traveling for! I think actually experienced travelers can sometimes be more prone to these kind of mistakes just because when something becomes habit you tend to switch your brain off and think you can do it in your sleep! I can relate to this list, Meg. Sunburn can be brutal. On one trip, I forgot that the sun is stronger near the equator – ouch! I just visited London, and my taxi driver mentioned that mixing up Gatwick and Heathrow is relatively common. That must have been a stressful experience! I fly a lot and have never had any issues with ticketing until a few months ago. When we arrived at the airport in Prague, we realized that one of my children had two tickets to Frankfurt, and my other child didn’t have one! I had booked four tickets but changed our flights over the phone and the ticketing agent accidently issued two seats to one child. We ended up purchasing another ticket at the airport, and the airline eventually agreed to reimburse us because it was their error. I learnt a valuable lesson – check the tickets – every time! Yep, the sun is absolutely stronger near the equator. I feel your pain!! A few days there in the Galapagos Islands were not fun!! Kind of pleased to hear that I’m not the only one who confuses Heathrow with Gatwick :D Makes me feel a little less silly if quite a few people do it too!! I’m glad to hear that you managed to sort out a reimbursement for your flights through Europe – at least that time the incorrect name was their fault and not yours! It’s horrible that we all make these mistakes too, especially the sun mistakes. I did the Incorrectly Spelling a Passenger Name on an International Booking last year and it cost me a lot more than $300. Such a waste. :S Sounds like I got off pretty easy with $300 then! Such a ridiculous fee! I mean seriously, it’s not like they have to issue another ticket, and that’s a seriously excessive amount for an admin fee. Ah we have all been there :) wrong airport? check! drunken night and not knowing where you are? not check ;) I have never been one for beer and too many drinks but I have seen my fair share of drunken tourists in my coastal town in Spain in the early hours of the morning, when the sun was up, and they woke up to not only a massive hangover, but also to a great sunburnt with the shape of their medal on their chest haha. I have had way too many sunburns to stay in the sun for too long. I spray myself so much that I may have contributed to global warming! I’m finding it at least a little bit encouraging that I’m not the only one who’s made the airport mistake :D! And the sun is definitely another one a lot of people make time and time again. Good on you for learning quickly that alcohol can be dangerous overseas – I’ve learned that you can head out and enjoy yourself, but why are we traveling if we’re drinking so much that we forget the experience anyway! Great list! I’ve done at least three of these, including going to the wrong airport and spelling a name wrong. Thanks for alerting people so they can avoid them! Thanks Lillie! I do hope that raising a little bit of awareness can hopefully prevent someone else from making a similar mistake! A lot of them though you only have to make once to never have it happen again! In all my years of travel the only time I needed travel insurance was the few times I actually bought it!! I have been the victim of sun damage too many times. It basically ruined our trip to Bali one year when both my husband and I got so sunburned out snorkeling we could barely move for the rest of the week. We literally screamed in pain even moving in the bed. Sad business when you have an entire romantic luxury villa to yourself! haha. at least we were able to go without clothes and take lots of cold baths as needed! Wow, that’s awesome that the travel insurance purchases worked out for your Karilyn! Well, not awesome that you had to rely on it, sorry to hear that, though normally it’s always the other way around. Murpheys law, that the one time you don’t have it is when you finally need it! Also sorry to hear about your Bali sunburn incident! I totally feel your pain there on that one – I couldn’t walk for 3 days after my feet got burnt in the Galapagos. It was severely painful and I’ll never forget to cover my feet with suntan lotion again!! Throughout our years of travelling we’ve definitely made the “Not Being Sun Smart” mistake (a few times) before! I’m sure every traveller can relate to at least one of these, unfortunately, haha. I think every traveler has definitely been there – that specific mistake being something which sadly not a lot of people actually learn from!! Like you, I’ve been lucky to not have anything super horrible happen to me while traveling. The worst was renting a car in Ecuador, parking on the street (because we didn’t do enough research into our destination) and having it broken into early in the morning. Our window needed replacing, my husband’s cell phone was stolen and he spent half the day at the police department trying to work out filing a report while barely speaking any Spanish. It all worked out and only cost us $50 to get a new window, but we learned a lot about ourselves on that trip. Wow, super amazing and lucky that the whole situation only ended up putting you back $50 USD. I’m glad that it wasn’t any worse for you both. I can definitely join the club of unfortunate travellers. I also have plenty of experiences with unnecessary sunburns, clubbing the night before I missed my flight and trusting the wrong taxi driver. I actually wrote a post about it, which you can see on my website. Since that article I made even more mistakes, which could fill up yet another article! Probably will post that soon! Anyway, thanks for this honest article. Sorry to hear that Bart! Though the way I look at it is that life is full of mistakes, and that usually tends to extend to travel too. This is SUCH a great post for all travelers whether seasoned or beginners. One of our biggest mistakes was assuming cash withdrawals were free and taking none with us! And also turning up to Yellowstone with a tent at 6pm in the height of summer hoping for a pitch, we ended up camping in the wild instead! Glad you enjoyed it Katie! Ouch, yes the cash withdrawal fees can hit you hard! Especially being from Australia, there would be cash withdrawral fee, and then a credit card fee on top of that because I would often not use my debit card. Learnt that one hard and fast! We’ve also hard similar experiences in Yellowstone … not camping, but rocking up and expecting to visit not realizing it was the start of school holidays. Note to self, always check for peak times of year during planning :D! Wild camping sounds like it would have made for an adventure though! Mapping you are a great personality.I wish may god give you long life and enjoy world for self and others. I can totally relate to sunburn. 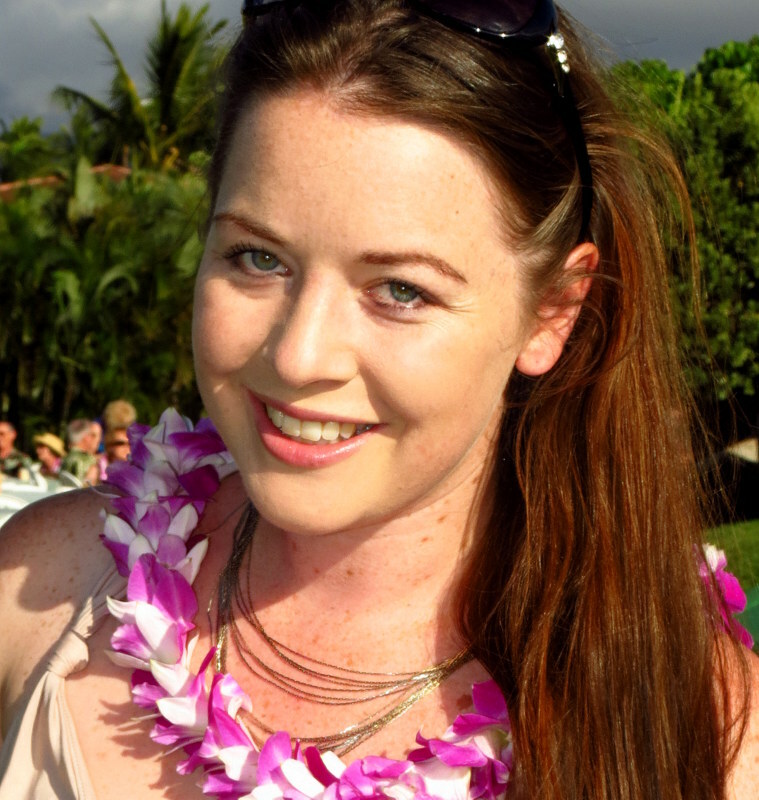 9 months in SE Asia & my pale and freckled skin still does not cope without factor 50. Our biggest mistake was forgetting to check the price of things in a restaurant when we 1st arrived in Sri Lanka. Ordered beers we couldn’t afford and had a very embarrasing moment when thr bill came! I think sunburn is one of those things that stings a lot of people, we’ve been conditioned to become complacent, and not think it’s so bad, but really underestimate the damaging long term effects. Oh no on the beers in Sri Lanka!! If there’s anything worse than a warm beer, it’s an expensive one! Lol did you end up washing dishes?? !